One of the best parts of being a blogger is all the really nice bloggers you meet along the way. I attended my very first blogger conference a few years ago and one of the first people I met was Laura from Real Mom Kitchen. She was so friendly and kindly let me hang a bit with her and her sister that day. 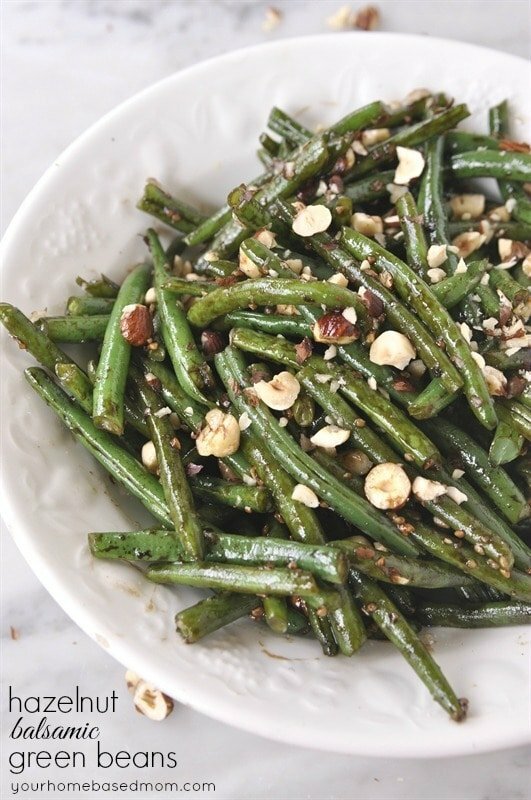 I love Laura’s blog and have used many of her recipes. When she told me she was coming out with a cookbook I was so excited for her. I was even more excited when she shared with me an “advance” copy. And in the meantime you can drool over these yummy brownies, a recipe I made from Laura’s new cookbook – Brownies for a Crowd. I know some people prefer a chewy, gooey brownie and others a more cake like brownie. I am right in the middle and these brownies are just that – a little chewy but not too chewy and a little cake like but not too cake like. The recipe calls for a chocolate frosting but I ran out of time and butter so I just sprinkled them with a little powdered sugar! In addition to being just the right consistency of brownie this recipe makes a large batch – it totally filled my 12 x 17 jelly roll pan almost to overflowing! I had a couple of different meetings at my house this past week and this big batch of brownies was perfect. 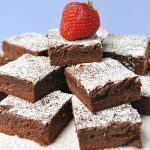 The next time you need a nice big batch of brownies give this recipe a try and be sure and check out Laura’s new cookbook. These look delicious. Like you, I love a brownie that is right in the middle as well. Chewy and cakey and of course, chock-full of chocolate! We had meatballs and mashed potatoes for dinner this evening. Yummy comfort food for us today!!! Those look delicious! I have totally been craving brownies lately. That might just be too big of a batch for me though. we’re having a grilled chicken and berry salad for dinner…and possibly some brownies for dessert! i was planning to take some treats over to our neighbors to say thank you. this looks like a perfect idea. thanks! We are having grilled steak, grilled zucchini and yellow squash, potatoes, and yeast rolls. I’m having black bean salsa chicken from the crockpot! We are having taco salad! 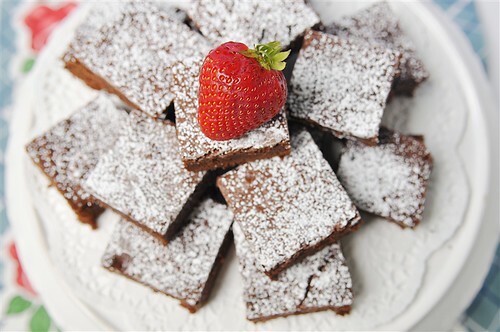 I love brownies,might have to whip these up too! My kids and I have been learning about different countries all summer long and end the day by eating their cuisine. Tonight, my husband is cooking a Dominican Republic meal since he served his mission there. Should be interesting! We had a homebased mom meal — roasted chicken and veggies; spring green, proscuttio and pine nut salad; 7up biscuits and sliced tomatoes. Everything was delicious! Now I think I need to see if I have the ingredients for these brownies…. We are having Sweet & Sour Chicken. I’ve never made it before, so here goes. Thanks for the recipe, I’m going to see if I can make it gluten-free. Dinner tonight is a simple BLT sammie and chips! It’s too hot around here to cook. We’re having a big salad tonight. It’ still hot in Phoenix! We are having tv dinners for supper. It is just to hot to cook. We had tater tot casserole, mac and cheese and leftover biscuits! Those brownies look GREAT!! can’t wait to try them! Wow! I would love to win a cookbook! For dinner we had grilled asian chicken, cous cous with mango, kiwis and leftover sauce (from the chicken), steamed broccoli, and corn on the cob. It was scrumptious! We are expecting 13 houseguests tonight, so we are having BBQ pulled pork sandwiches, baked beans, watermelon, broccoli salad, jello salad and lemon drop cookies for dinner! It’s too hot to cook right now in Indiana, so we ended up having peach milkshakes! Cool and refreshing! Tostadas for dinner! Mmmm. Those brownies look fab. We are having pork chops with potatoes, green pepper and rosemary. It is a quick dinner so I also had time to make chocolate chip cookies for dessert. Yummy. I love your blog and look forward to trying out the brownie recipe also. Thanks. Last week I ate at Pastini in Bend. I had the most wonderful soup-cream of potato and artichoke. I reconstructed it this afternoon and it tastes delicious. I’m serving it for dinner with crumbled bacon on top and whole wheat croutons. We had baked tilapia with fresh herbs, Caesar salad, and cantaloupe. I would love to win! I LOVE a good brownie! Tonight for dinner: lasagna roll ups, tossed green salad, and parmesan garlic bread. Tonight we are having rotessori chicken, ravioli and a fresh salad. Laura’s blogs was one of the first that I began to follow, and I believe I found your blog through hers! We had Chinese for dinner tonight as it was 97 degrees still at 7pm here. and I had no desire to turn on the stove or oven. These brownies look yummy. grilling spicy honey chicken…the brownies look delicious! I had a peanut butter & jelly sandwich. I think I definitely could use a new cookbook! Cosa rosa — or in English Pink Fluff — strawberry yogurt mixed with cool whip and garden fresh raspberries, blueberries and strawberries — delicious and cool. Yummy!! salad from a restaurant. too hot to cook. thanks! It was a crazy, busy night and so hot that the thought of cooking anything made us want to melt. We had cold cereal and PB & J for dinner:) I would love a new cookbook! We are having spaghetti and turkey meatballs…Yummy. The brownies look fabulous! We had a very simple supper of sandwiches. Those brownies look amazing! We went out to a seafood restaurant with a Scottish cousin who is leaving tomorrow and I had stuffed flounder. Delish! The brownies look great! Hi We had a girls night to catch up and we had chicken caesar salad and grilled vegetables with homemade bread. It was nice and light since we are having a triple digit heat wave. We had spaghetti pie with garlic bread for dinner. I can’t wait to try those brownies! Thanks! I think I get the lazy mom award. We had scrambled eggs, zucchini bread and pomegranate/cherry juice. See? I NEED this cookbook! Thanks for the chance to win! Yum! I needed a quick post work meal so I had an Amy’s Indian meal, salad, and cherries! Thank you! Mac and cheese! !… homemade of course. We had… Pork Tenderloin, mashed potatoes, & green beans! We had leftover tacos from last night, it sure helps to have leftovers when it is summer and one of my sons has karate two times a week in the evening! Made ravioli with a zucchini sauce (my husband called it ratatouille). 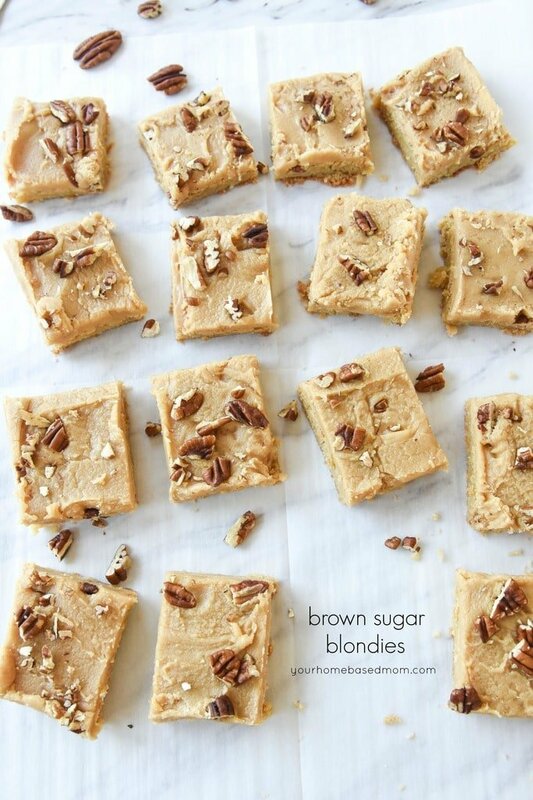 The brownies sound delicious and I’d love a new cookbook! Buffalo chicken taco salad with ginger lemonade and cornbread. We had Pizzicato margherita pizza, caesar salad and fresh cantaloupe. We had veggie, avacado,and Bacon sandwiches on homemade 7 grain bread. I LOVE your blog! Picnic in the Park–BBQ with the kids and friends. The brownies will be the perfect treat! Tonight is our meatless meal of the week: lentil tacos. One of my friends raved about them, so I can’t wait to try them. We’re having dinner with friends – tacos and fresh salsa with blueberry cheesecake ice cream for dessert! We’re having beef stroganoff burritos. My husband says everything is better in a buritto! And s’mores bars for dessert! Since we’re experiencing hot/humid temps in Minnesota, I’m avoiding using my oven. We’re having a roast/potatos made in the crockpot. Grilled salmon, broccoli salad, and green beans (all vegetables from our own garden!!). The brownies look delicious! We’re having cheesy chicken, bacon & ranch sandwiches & coleslaw. The cookbook sounds wonderful! Tonight I am fixing my famous marinated grilled lemon herb chicken with potato salad, corn on the cob and fruit for dessert. Well…it’s raining AGAIN, feeling a bit uninspired so I think we’ll have spaghetti, salad (from the garden) and homemade foccacia bread. We are having Spaghetti and Meatballs – it’s one of my kids requested B-day meals 🙂 I have a BIG time weakness for brownies so they are now on my must try list! We’re having broccoli spaghetti (well what my son calls it! ), It’s actually spaghetti with alfredo sauce with steamed broccoli spinkle with parmesan cheese! It’s really yummy! We are having buttermilk pancakes, sausages, and yummy lemon berry smoothies! Yay for breakfast dinner! We’re grilling hamburgers and roasting veges. We’re having grilled, marinated chicken, scalloped tomatoes, and steamed broccoli. Cookbook sounds wonderful. I collect them. I’m thinking of a taco salad tonight. I always love a new cookbook, to read, search the pictures and then make the yummy dishes. We’re having marinated grilled chicken, scalloped tomatoes, and steamed broccoli. Smoked country style ribs with fresh from the garden: eggplant, okra, and tomatoes. It is so HOT here in Iowa! To avoid using the oven, we are making BLT sandwiches with fresh Iowa corn on the cob. Yum! I think we are having chicken sandwiches tonight!! mince served over mashed potatoes. Tonight we’re having pasta. I put in cottage cheese in the sauce to make it more filling. The kids love it. It’s so hot I’m thinking me may just have Popsicles in the pool! Tonight its shrimp/okra gumbo and potato salad YUM comfort food at it’s finest ! We’re having a BBQ at the park tonight with a group of friends. I’m thinking I might just whip this up and take them with us! Thanks! Going for Laura’s (Real Mom Kitchen) flatbread tacos for dinner tonight. I am making Chicken Picatta. Veggies from the garden and grilled bratwurst! We are either having cashew chicken or linguine with clam sauce, haven’t totally decide yet. Marinated sirloin steaks on the grill, garlic mashed potatoes and a salad with lots of veggies! hi there! tonight is a grilled chicken night with forbidden rice and whatever vegetables i can pick up later today at the farmers market….yum! those brownies look fantastic! 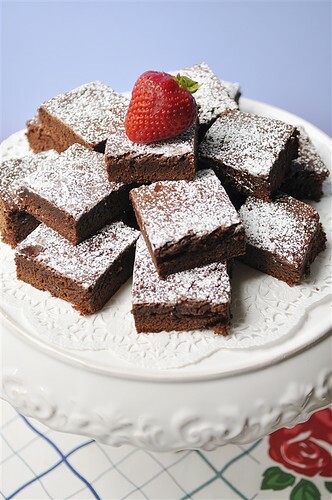 i also love ina garten’s brownies from her very first cookbook….they are super labor intensive, but well worth it! We’re having chicken tostada bar – make chicken in the crockpot until it’s falling apart tender, then everyone can put their own toppings on. It’s just too hot here to have the oven going! We will be eating fish tacos and fresh salsa! My favorite! We are having tacos for dinner. Not very creative, but my husband has about 10 minutes to eat between work and school. It is so funny that “What’s for Dinner?” is the answer you want! Heres’s why: our youngest daughter left the lid on the deep freeze up last night when she went searching for a popsicle so this morning we got up to thawed out bacon, pizzas, and egg rolls! We will be having a lovely hodge-podge of things like bacon and eggs, frozen pizzas and egg rolls as an appetizer! We are feasting on summer cantaloupe, plums, and red grapes with Milky Way (Snickers) Salad. To be totally honest, we are going to our favorite chinese restarurant with some friends tonight, but last night I made stuffed french toast for dinner. It was delightful! My sweetheart of 35 years 57th birthday today! Dinner will be his choice and my guess is it will be his favorite chinese restaurant! So excited to have found another source for great recipes! Thanks Homebased Mom! We are having skillet taco macaroni. It’s a new recipe we’re trying, hopefully it turns out well! Dinner tonight? — Well I’m treating myself to a salad at Cafe Rio!!! Brownies should have their own food group! We are having rib eye, corn on the cob, broccoli salad and a jello coolwhip cheesecake for desert. YUM!!! We are having something with chicken. Not really sure yet. Tonight we are going out to dinner! 🙂 First time in awhile with the kids, but they earned a free meal at Sizzler doing the summer reading program at the library. So my kitchen is off duty. YAY! We are having pork roast cooked in the crockpot. Would love to win that great cookbook. Thanks for the offer. Love your blog. We are having grilled chicken breast and veggies! Still thinking of what is for dinner tonight. We went for dinner b/c I am currently 9-months pregnant and TIRED! My famous crispy chicken sandwiches & a salad made from fresh mozzarella, advocado, tomato, garlic, balsamic vinegar & olive oil….YUUUUUUUMMMMMM! We are having chicken w/ pesto sauce and leftover rice. something with the chicken i bought from costco the other day…maybe chicken quesadillas. We will be having pork chops with a rosemary cream sauce and some fantastic sweet corn. I believe I will be making italian chicken with steamed veggies. Most likely it will be takeout tonight because we have to pick up our rapaired car. love brownies! We are hopefully having salmon – with some butter, lemon and onion. Cooked wrapped up in tinfoil. And maybe ceasar salad and some bread. 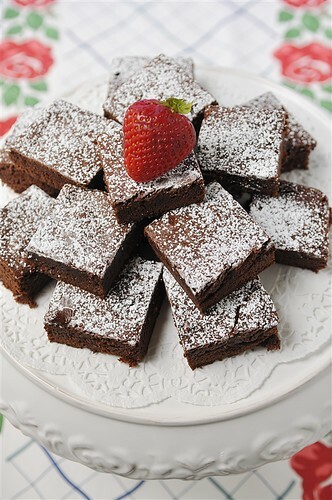 Your brownies would make a great desert. It just so happens that my daughter special requested your Mongolian Beef receipe for tonights dinner! We have made it several times before and it is always a huge hit! And just last Sunday we had your Crockpot Brisket receipe…..Wow…it was so delicious and oh so easy! Thank you for sharing your receipes they are amazing. We are having pasta with chicken and broccoli yummy! We have a super busy evening ahead of us so we will be having a simple tomato soup with grilled cheese sandwiches. For dessert we will be enjoying those Sprinkled with Flour’s Chunky Twix Cookie that you featured a while back. The first batch is in the oven now and I imagine I will be sampling one in about 15 minutes! I’m thinkin’ BLT wraps or taco salad. Both great summer time meals. Thanks! Feels like soup weather! We are going to BBQ salmon, and have brown basmati rice, cornbread, salad, and brownies with ice cream for dessert. YUM! We will be having left over pizza from my daughters birthday party last night. Tonight we’ll be going to a “Concert in the Park” event in our town…so we’ll probably bring some picnic food and a couple bottles of wine. 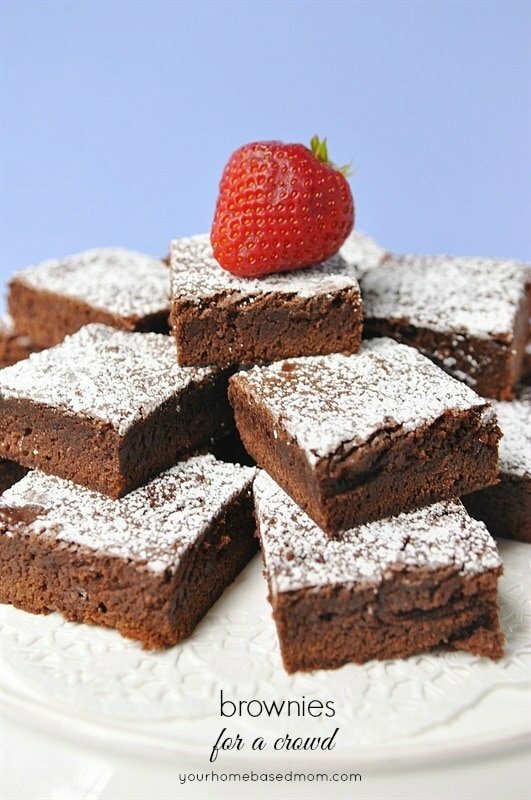 I have been wanting to make brownies like these. Yum, I can’t wait to try them. We’re having one of our favorite summer salads-Spinach Mandarin and Avocado Salad with homemade Poppy Seed Dressing. Nothing better on a HOT summer day! I am making blueberry pancakes for dinner, new receipe hope my family likes it. Soooo hot here, having turkey roll-ups on wheat with hummus. Making pizza tonight! Trying a new recipe. We had meatloaf, baked potato and string beans. Wanted to make a hearty meal before the humidity kicks in tomorrow and it will be too hot to use the oven. Meatloaf sandwiches will be nice for that. We’re lucky and get to go to a work barbecue tonight, so no cooking at our house! We are having grilled chicken and rice. The best part is it is being fixed by my 17 year old son and hubby. It is tooooo hot to start the stove. I am lucky, because I do not have to cook tonight! I am having good garden tomatoes and cottage cheese! Yay. I’m having baked tilapia with veggie rice. We are having pizza tonight ! Have bunches of kids that are gonna be here so I am thinking I will make those tasty looking brownies !!!! We are having pulled pork tacos for dinner tonight. Thanks for the giveaway chance. BBQ chicken and sweet potatoes with roasted zuchinni and tomatoes. We are having “breakfast”! We like to shake things up every once and a while. So, we will be having pancakes, with a yummy syrup recipe I just got! Along, with fresh fruit! Grilled pizzas are on tonight’s menu. So excited for the chance to win a new cookbook. Thanks! The kids and I had pizza for dinner because my hubby is working really late tonight. and salad. We will probably have ice cream for dessert. Those brownies look perfect for a S.N.A.C. (Sunday Night After Church). Will definitely try this recipe. I had surgery a couple of weeks ago and many kind souls have been delivering dinner to us. Tonight is homemade Mac & Cheese. Long, stressful day at work plus another hot Texas day left us with triple decker BLT’s with cucumber for dinner. Yum! Love your blog! You are one talented woman. We are having chicken chile verde burritos tonight with mexican rice. Boil chicken breasts, shred, sautee in a bit of olive oil with garlic, onions, chopped tomatoes, and fire roasted poblano green chiles. Add salt, pepper, and of course mexican chicken flavor bouillon for taste. Yummy! Just got home from a couple of days away so….peanut butter and jelly sandwich!! Had a late lunch. It’s popcorn and a movie for dinner. I’m having tacos and refried beans for dinner. Maybe some tortilla chips and guacamole too! Yummy! We actually ate at a new restaurant tonight! It was delish!! The Brownies look sooooo good! Thanks for all of the updates on everything. It’s nice to see all of the beautiful parties you have had. Thinking of you as a new emptynester. I know you will keep busy! Thanks again for your great blog. We had fish tacos for dinner tonight. If someone would have told me two years ago that I would be eating fish tacos, I would have told them they were crazy. I now love fish tacos! I use the frozen tilapia from Cosco, defrost and bake. Then I mix up some black beans with some corn and a shallot or two and bring to a boil. 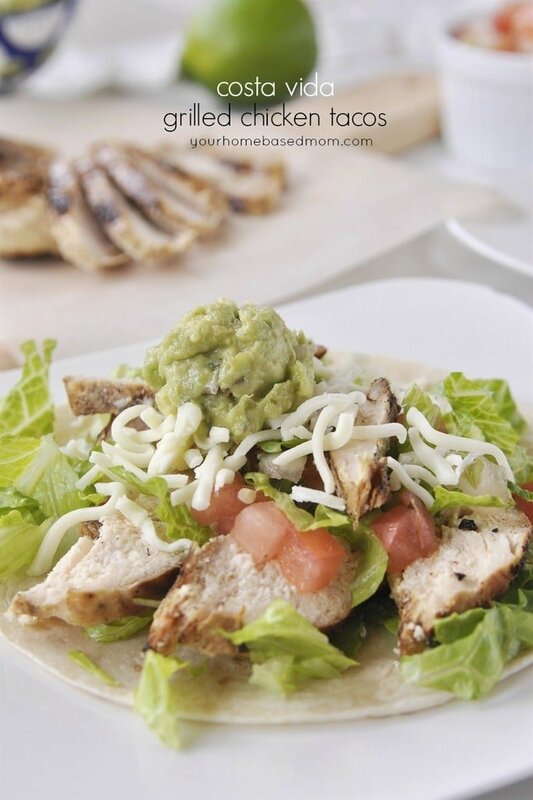 I use corn tortillas and soften for 10 seconds – 5 per side in a little canola oil. I had sides of cheese, salsa, chopped fresh tomatoes, lettuce, and cilantro. Yummy! I hope this recipe qualifies for entry for that cookbook. I’d love a new cookbook. We are having Fish Tacos on Saturday! I too had never ever thought I would eat Fish Tacos. Last year, I made them, using another bloggers recipe. OMG they are sinfully delicious. We had homemade egg mcmuffins and fruit. A fast dinner anytime! Crazy day at our house – ordered take out and had a picnic in front yard with friends. We had 40 people over for “Cafe Rio” chicken and pork salads. Delish, and great company too! We’ll be having homemade country fried steak and potatoes! We had grilled BBQ Chicken, grilled Corn on the Cob and baked potatoes with all the fixins! It’s Friday – that means pizza!! Friday night is always pizza night at our house, but it is so hot, I am thinking sandwiches may be better! We are heading up to the mountain to go camping. So we will be having Chili, Dutchoven Corn Bread, and Dutchoven Monkey Bread. YUM!! I am off to work and my hubby is cooking for the kids. So probably cereal or he will take them to Grandma’s house. We had sub sandwitches at the park…it was just so nice out! I love Laura’s blog..im glad she’s done a book. 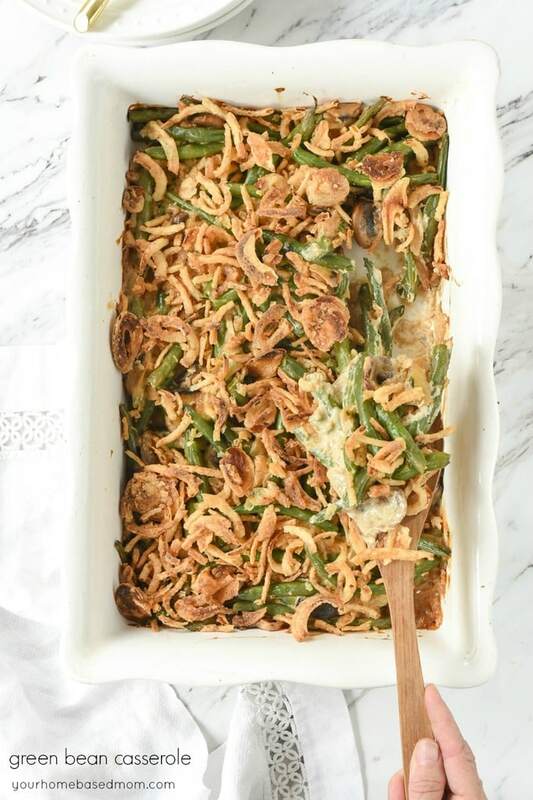 Tonight, we are having a dish that my Dutch Grandmother used to make…. Beef Roast with Potatoes and caramelized onions, and a green salad with Oma’s homemade dressing. Along with that, I will be trying Leighanne’s recipe for 7up Biscuits! There’s going to be a party in my mouth this evening! We are having your chicken fajitas. My whole family loves that recipe! We’re having BBQ Chicken Salad. Too hot to cook during this heat wave!! We’re having a Greek salad, Marinaded London Broil with homemade french fries and some Magelby rolls! I just stumbled across your site in my search for cream cheese muffins and instantly fell in love. My boyfriend saw a picture of the London Broil and instantly was hungry, so we had to go shopping. We’re excited about the rolls—I’ve been on a yeast roll kick lately; I make them about three times every two weeks, but no one complains, so I’ll just keep going! I’m sure they’ll enjoy the variety. I hate running out of butter in the middle of a recipe!!! The brownies look yummy. We are having sausage, baked zucchini fries, and salad with homeade croutons for supper tonight (unless the hubby decides to spring for pizza:)! It is 8:30 and we are still deciding on dinner. Busy day, kids fed and in bed..so probably quick take out. Just found your blog..looking forward to looking around. Went to a Williams Sonoma techniques class this morning, “Farmers Market. ” So yummy had to cook the same things for dinner tonight – Herb Pesto and Mozzarella Panini and Mexican Street Corn. Next to the taste, the best part was I had everything I needed except the Mozzarella. Perfect summer food. Tacos! My husband is always requesting tacos…. im not complaining 🙂 so easy! We took our son out for a special dinner. His 15th birthday is tomorrow. We will be having BBQ chicken quesadillas for dinner tonight. So easy and delicious! We are having dinner at my mom and dad’s tonight with the rest of the fam-2 brothers, 1 sister, 1 brother-in-law, 1 niece, and my 2 sons. I’m not sure what mom is making, but I’m bringing s’mores cracker candy for dessert. We wil be having pan seared cod seasoned with sea salt, black pepper and a little dill. Green beans and zucchini from my csa box and probably rice pilaf or mashed potatoes. Tonight we are having sandwiches and fresh fruit for dinner. It’s too hot here in Texas to bring any additional heat into the house! I am making a Cabbage Roll Casserole for supper tonight. Taste like cabbage rolls but with less fuss. So easy. We love it so much. Makes a wonderful meal. We are having a Thai Beef Stir Fry. I can’t even think about turning on the oven! I cooked smothered chicken and rice. Green beans with bacon, candied yams and sweet corn bread. I love living in the south. how many servings does this brownie recipe actually make? Laura, It is baked in a 12 x 17 pan so the serving amount would depend on how big you cut them. You can decide how many servings you want and cut them to the size that would give you that many.